Hearing impairment is linked to diabetes, and studies recommend hearing testing for type 2 diabetes management. 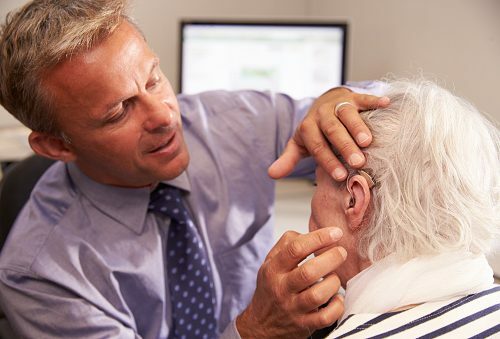 The research found compelling evidence that diabetes can damage the auditory system, and that doctors should recommend regular hearing tests for their diabetic patients. The uncovered association between hearing loss and diabetes is fairly recent, so longitudinal studies are required to better understand the relationship. Prevalence of hearing loss in the U.S.
An estimated 15 percent of adults report some trouble hearing, and men are more likely to endure hearing problems than women. One in eight Americans have hearing loss in both ears, and two percent of Americans aged 45 to 54 live with debilitating hearing loss, which increases with age. The Centers for Disease Control and Prevention (CDC) report that nearly one-quarter of those aged 65 to 75 experience hearing loss. As you can see, hearing loss is a pressing issue that affects just about everyone. The findings from the study unveiled that diabetics were twice as likely to suffer from hearing loss, compared to individuals who did not have diabetes. Although this study – along with many others – has found a relationship between diabetes and hearing loss, there is still room for further research. The takeaway message here is, in order to prevent hearing loss associated with diabetes, it is wise to effectively control and manage diabetes. Your doctor will refer you to an audiologist who specializes in hearing in order to determine how bad your hearing has become and outline the next steps.